As this year comes to a close, we’re reminded of everything that The Freshwater Trust has been able to accomplish, thanks to our incredible supporters and community of followers. But we know a challenging year is ahead of us, and we’ll need to keep fighting to ensure our rivers are healthy, full and flowing. In the letter below, President Joe Whitworth explains why now is the time to be adamant about outcomes for our environment, and why The Freshwater Trust has the tools and expertise to make real headway in 2016 with your help. Every movement has flashpoints: Moments that spark change. The march in Selma, Alabama, for civil rights. The first National Women’s Rights Convention for women’s suffrage. These events have contoured our country’s past and defined our present. For water issues? The Klamath River fish kill. The disappearance of the Colorado River. Decades of treating a finite resource as infinite has had severe consequences. And we have not responded quickly enough nor boldly enough to these events. It’s time to change course. Movements begin when someone raises a hand and says something needs to be done. They gain momentum when action is taken and outcomes are achieved. In 2015, The Freshwater Trust took some big steps toward ensuring a future with clean, healthy rivers. We restored and protected the rivers you love: We prevented hundreds of pounds of pollutants from entering the water. We restored function to thousands of feet of streams, and kept millions of gallons of water in rivers that needed it. 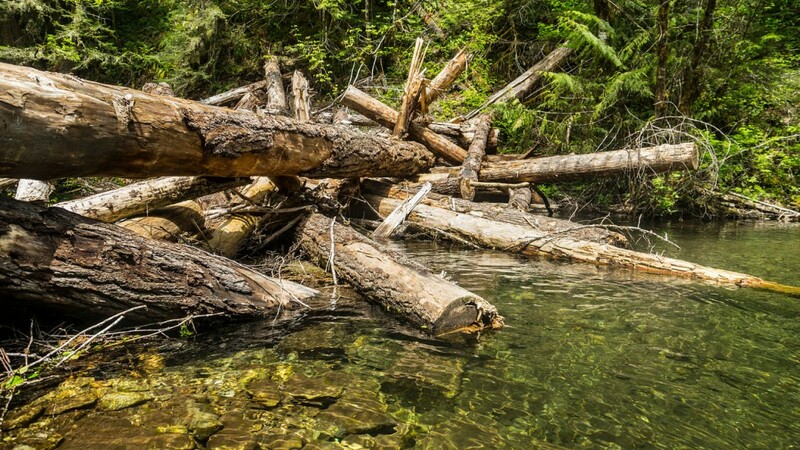 A logjam we installed in Oregon’s Salmon River to improve habitat for native fish species. We wrote a blueprint on 21st century conservation: My first book “Quantified” was published by Island Press in September. All proceeds go back to helping The Freshwater Trust fix more rivers. 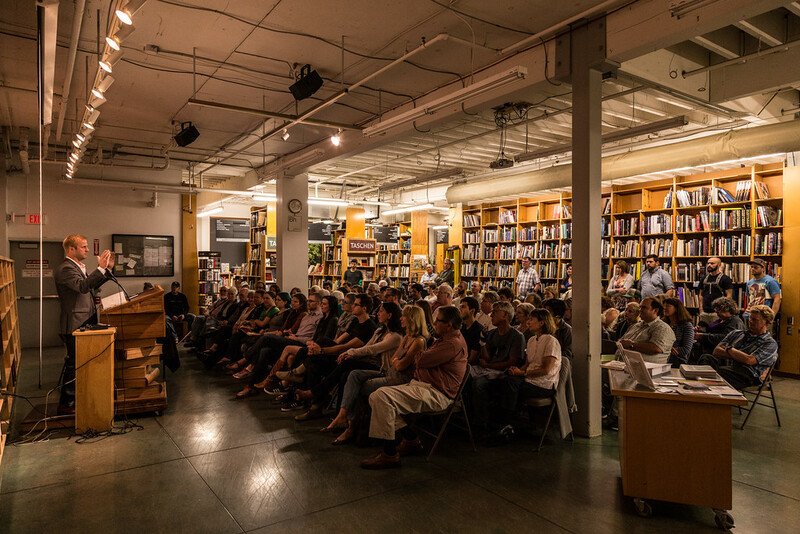 “Quantified: Redefining Conservation for the Next Economy” was launched at Portland’s Powell’s Books in September. 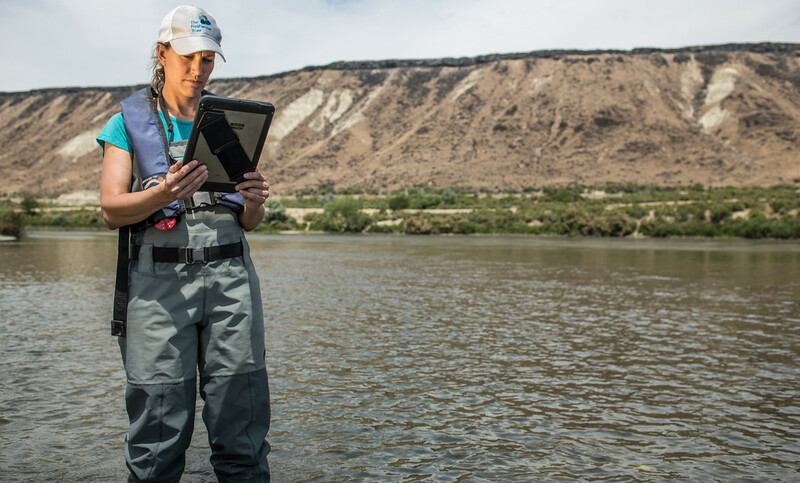 We developed tools to ensure restoration happens effectively and efficiently: We completed a final version of our monitoring app, which streamlines our ability to collect and analyze data on every river we work on. Our monitoring app will help ensure we are doing restoration effectively and efficiently and all our projects are having their intended outcomes. We’re prepared to build on this momentum in the coming year, but you and I know this fight is a big one, and we’ll need to be in it for the long haul. That’s why we’re asking our supporters and followers to make a contribution to The Freshwater Trust before the close of 2015. Consider what’s happened just in my lifetime: The total number of freshwater species has declined by 50 percent. The number of worldwide dead zones has spiraled from roughly 30 to more than 500. The amount of pesticides used in the United States has tripled to 1.1 billion pounds per year. The surprising positive to all of this? It is fixable. Yet to address today’s realities, we need a radically different approach, not just an extension of the ones we’ve used in the past. With more than 30 years of on-the-ground experience and a rare set of in-house expertise, from biologists to business analysts, we’ve developed and employed solutions that are indeed big enough and efficient enough to match the scale of this problem. To this challenge, I answer: Now, and by us. P.S. We can do astounding things when we focus on challenging problems. Help us seize the opportunity and imperative in front of us to create a future that balances a prosperous economy with a thriving environment.